[S22] Victorian Government. BDM Index Victoria (online) "#D9031 - Place of birth MOTHERWELL SCOTLAND; Place of death MELBOURNE." [S22] Victorian Government. BDM Index Victoria (online) "#D1085 Place of birth KENSINGTON." Village Bell* Nov 1980 The article reads: Shirley and Allan King returned to the Guys Hill Store on October 2 after 8 weeks overseas. Shirley won the airfare for two to London in a lucky draw at the end of a weekend Women's Weekly Seminar. On arriving in London they hired a car to tour England, Scotland and Wales. Then, travelling by bus toured Sweden and Denmark, and another bus trip to Belgium, Holland, Germany, italy, Switzerland, France, back to London and home. Shirley made the comment that the bus tours only seem to skim the surface, not allowing time to see the people, but an excellent way to see a lot in a short time. In fact, it has just whetted their appetite to go back and visit each country in depth. The Guys Hill Store has been in the family a long time, 22 years this month; 11 with Shirley's parents, mena and Alex Baker and 11 years with Shirley and Allan. During the trip Mena Baker looked after children Allison and Alexandra. Village Bell Aug 2001 The article reads: Just a tale! When Alan and Shirley King took over the shop at Guys Hill, from the Bakers (Shirley's parents) the usual stocktaking of goods on the shelves was performed, Alan was surprised to find a very large number of bottles of Citronella on the shelf, and felt it was much more than he could ever sell. The recent closure of the business and impending sale of the site, has prompted recent writings about the store and post office which has served the Guy's Hill/Upper Beaconsfield area so well for a number of years. Many residents feel saddened by the loss of such a vital part of the community, the "hub" of the Guys Hill area, and the many proprietors who have always gone out of their way to provide a community approach to business. I wish to reinforce those sentiments already so well expressed in the Upper Beaconsfield "Village Bell" and Pakenham Gazette, and to add further thanks to another generation or two of storekeepers, the Kings; a piece of history not yet mentioned. When our family first moved to the area in the 1970s, the store was a thriving business. Shirley and Alan King and their family, who ran the store from 1970, engendered a wonderful, generous community spirit and always endeavoured to please their clientele. It was a pleasure to shop at the Guys Hill store and we would often go out of our way to make purchases there. Shirley and the girls, Alexandra and Allison ably continued to run the business after Alan's sudden death in 1987, until 1988 when it was sold to the Southorns. Death-Notice* 8 Jun 2011 KING (nee Baker). 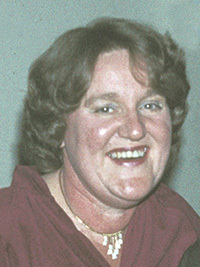 Shirley passed away peacefully on June 6, 2011, aged 76 years. Loving wife of Allan (dec.) Cherished mother of Allison and Alexandra. Sister of Alex. May the winds of love blow softly, And whisper for you to hear, That we will always love you, And forever hold you near. Our darling Mum, You have always inspired us with your kindness and touched our hearts with your love. We have so many treasured memories to keep of our time together. We thank you for being such a beautiful, caring and loving Mum, you have been so courageous and shown such incredible grace throughout your illness. We know that you are now at peace in God's loving arms and reunited with our darling Dad in Heaven. You have had a loyal and treasured companion in your guide dog Omar, enjoying many adventures together. He will miss you. [S352] St John's Church, St John's Memorial Book, Shirley Kathleen King born 16 Nov 1934 died 10 Jun 2011. [S15] Newspaper - Village Bell "November 1980, p18. Jeannette Ballinger." [S15] Newspaper - Village Bell "10-1980, January 1980, p5 Fire Brigade News." [S15] Newspaper - Village Bell "015-1980, p18, by Jeannette Ballinger." [S15] Newspaper - Village Bell "058-1987 p8 written by John Wells." [S22] Victorian Government. BDM Index Victoria (online) "#D13145 Birthplace as Fairfield New South Wales." [S15] Newspaper - Village Bell "Issue 66 - Feb 1989 - p13." [S15] Newspaper - Village Bell "Issue 141, Aug 2001, p5, by Charles Wilson." [S15] Newspaper - Village Bell "Issue 141, Aug 2001, p5, by Sue Bradley." [S352] St John's Church, St John's Memorial Book, Thomas Allan King born 20 Jan 1929 died 7 Jun 1987. Many people in this district were saddened by the sudden death of Allan King on Sunday, 7th June, 1987. 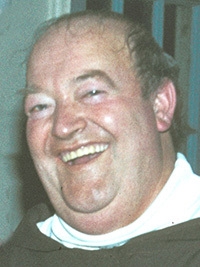 Allan took over the Guys Hill Store in 1970 and became an important part of the wider community. He was an old-fashioned storekeeper, always ready with a joke and always ready to argue without fear or favour on any topic. The Store became a place where friends met and where news was exchanged. He was a vigorous man and worked long hours, always putting his family first. the Store allowed him little time for other interests, but he was a successful breeder of smooth-haired fox terriers and of thoroughbred horses. Allan leaves his wife, Shirley, and his two daughters, Alison and Alexandra. We sympathise with them in their great loss. It was, of course, our loss, too. In small towns like Guys Hill the Corner Store is an important place, and in this case the man behind the counter was a vital part of the community. [S15] Newspaper - Village Bell "058-1987 p8 by John Wells." [S35] Probate Records, PROV (Public Records Office Victoria), VPRS 28/P6, unit 227. [S185] Property Titles. ; PROV (Public Records Office Victoria), C/T 3826-105 - Dorothy Agnes Dennett to Alexander Robert Baker Storekeeper and Wilhelmina Baker Married Woman both of Guy's Hill Beaconsfield joint proprietors. [S352] St John's Church, St John's Memorial Book, Alexander Robert Baker born 22 May 1906 died 8 Jul 1972. [S35] Probate Records, PROV (Public Records Office Victoria), VPRS 28/P35, unit 144. [S185] Property Titles. ; PROV (Public Records Office Victoria), C/T 3826-105 - Wilhelmina Baker of Emerald Road Guy's Hill Widow is now surviving proprietor. [S13] Newspaper - Herald Sun "14 Mar 2005 - viewed online 14 Apr 2014." [S35] Probate Records, PROV (Public Records Office Victoria), VPRS 28/P4, unit 1751; VPRS 7591/P3, unit 246. [S5] Registry of Births Deaths and Marriages Death Index Victoria 1921-1985 "d*." [S185] Property Titles. ; PROV (Public Records Office Victoria), C/T 6721-040 - Dudley Case Dennett Chemical Engineer and Dorothy Agnes Dennett Married Woman both of "Windrush" Beaconsfield - joint proprietors. [S185] Property Titles. 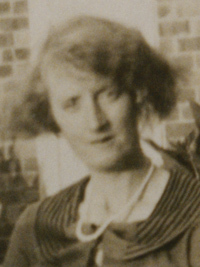 ; PROV (Public Records Office Victoria), C/T 3826-105 - Edith Catherine May Steyte to Dudley Case Dennett Storekeeper and Dorothy Agnes Dennett Married Woman both of "Windrush" Beaconsfield. [S35] Probate Records, PROV (Public Records Office Victoria), VPRS 28/P18, unit 65; VPRS 7591/P14, unit 14. [S22] Victorian Government. BDM Index Victoria (online) "#D3818 birthplace Prahran." [S185] Property Titles. ; PROV (Public Records Office Victoria), C/T 3826-105 - Dorothy Agnes Dennett of Mountainview Parade Rosanna Widow the survivor is now sole proprietor. [S185] Property Titles. ; PROV (Public Records Office Victoria), C/T 6721-040 - Dorothy Agnes Dennett of 100 Mountainview Parade Rosanna Widow the survivor of the proprietors is now registered as sole proprietor of the land now comprised herein. [S185] Property Titles. ; PROV (Public Records Office Victoria), C/T 7006-171 - Elizabeth Douglas Ballantyne of "L'Aiglon" Salisbury Road Upper Beaconsfield Married Woman. Death-Notice* 2 Jan 1956 BRYANT.-On December 31, at Beaconsfield, William, beloved husband of Dorothy, and loving father of Esme (Mrs. Daynes), Eileen (Mrs. Williamson), William, Elizabeth (Mrs. Osborne) and Phillippa (Mrs. Tonks), aged 79 years. [S185] Property Titles. ; PROV (Public Records Office Victoria), C/T 4277-357 - James Matthew Harkins and James Coyne to ... Bryant Married Woman and ... Bryant Coachsmith both of ... Promenade Chelsea. [S185] Property Titles. ; PROV (Public Records Office Victoria), C/T 6167-289 - Margaret Farrell Coyne to William Bryant Farmer and Dorothy Jane Bryant Married Woman both of Beaconsfield. [S185] Property Titles. ; PROV (Public Records Office Victoria), C/T 3826-105 - Alice Gould to William Bryant Storekeeper and Dorothy Jane Bryant his Wife both of Upper Beaconsfield as joint proprietors. [S185] Property Titles. ; PROV (Public Records Office Victoria), C/T 4277-357 + 6167-289 - William Bryant and Dorothy Jane Bryant to Elizabeth Convey of 116 Argyle Street Fitzroy Married Woman. [S185] Property Titles. ; PROV (Public Records Office Victoria), C/T 4227-339 - Gilbert Francis Walsh to William Bryant Storekeeper and Dorothy Jane Bryant his wife both of Beaconsfield. Memo No A631497 28 Oct 1958 Dorothy Jane Bryant of Beaconsfield Widow the survivor is now registered as sole proprietor. [S185] Property Titles. ; PROV (Public Records Office Victoria), C/T 3826-105 - William Bryant and Dorothy Jane Bryant to Edith Catherine May Steyte of Guys Hill via Beaconsfield widow. [S11] Newspaper - Argus 2 Jan 1956, p14. [S35] Probate Records, PROV (Public Records Office Victoria), VPRS 28/P5, unit 746; VPRS 7591/P4, unit 120. [S185] Property Titles. ; PROV (Public Records Office Victoria), C/T 4227-339 - Dorothy Jane Bryant to Jonathan Eyre Bruce of Langmore Lane Berwick Estate Agent. Death-Notice* 16 Jan 1920 BORCHARDT -On the 15th January, 1920 (suddenly), at his residence, corner Church and Gipps street, Richmond, Max, the dearly loved husband of Jeannie Borchardt and loved father of Lina, Ben, Max, Will, Bertha, Herbert, and Flo, and loving grand-dad of little Max, aged 60 years. No flowers. BORCHARDT. - Friends of the late Mr. MAX BORCHARDT are respectfully invited to follow his remains to the place of interment, the Boroondara Cemetery, Kew. Probate (Will)* 1 Mar 1920 ASSETS (extract referring to Beaconsfield): All those pieces of land containing 95 acres and 26 3/10th perches and being Lots 1, 2, 8, 11, 12, 12A, 13 to 16 (both inclusive) on the Plan of Subdivision lodged in the Office of Titles as No. 6686 and being part of crown allotment 70 Parish of Pakenham County of Mornington occupied by deceased's son Municipal Assessment £30. 7 Apr 1890, To TAILORS and OTHERS in the TRUST ESTATE of MAX BORCHARDT (Chicago Clothing Company) of Bourke street, Melbourne, Tailor. 19 Jan 1907, THE "WERTHEIM" IN THE FACTORY. [S53] James Smith, Cyclopedia of Victoria, The Cyclopedia of Victoria v3, p98. [S65] Ancestry - various indices, PROV VPRS: 4396; Series Description: Index to Naturalisation Certificates, 1851-1900; Reel Number: 1. [S185] Property Titles. ; PROV (Public Records Office Victoria), C/T 3886-191 - see C/T 4258-565. [S11] Newspaper - Argus 16 Jan 1920, p1. [S34] PROV (Public Records Office Victoria), Inquest index. [S35] Probate Records, PROV (Public Records Office Victoria), 170/007. [S185] Property Titles. 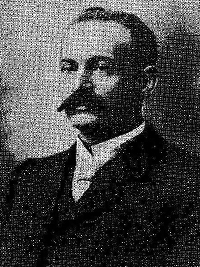 ; PROV (Public Records Office Victoria), C/T 4258-565 Max Borchardt died on 15 Jan 1920 - Probate granted to Max George Borchardt of 384 Church Street Richmond, Cap Manufacturer - transferred to his name 31 Jul 1924. [S20] Various indexed records of GSV - Genealogical Society Victoria "Boroondara Memorial Inscriptions compiled by Port Philip Pioneers Group Inc 1993 - not listed." [S11] Newspaper - Argus 7 Apr 1890, p2. [S14] Newspaper - Victoria Police Gazette, 25 May 1893, p147. [S14] Newspaper - Victoria Police Gazette, 12 Jun 1895, p189. [S11] Newspaper - Argus 19 Jan 1907, p7. [S14] Newspaper - Victoria Police Gazette, 7 May 1914, p250. [S14] Newspaper - Victoria Police Gazette, 7 May 1914, p249-250. [S80] Ancestry - Family Tree, RobynEllisFisher (Miller Foster Fisher Family Tree). Household Members John Esberg, Annie Esberg, Frank Esberg, Jennie Esberg, Minnie Esberg, Charles Esberg,. [S11] Newspaper - Argus 9 Aug 1928, p1. [S35] Probate Records, PROV (Public Records Office Victoria), VPRS 28/P7, unit 756; VPRS 7591/P4, unit 588. [S185] Property Titles. ; PROV (Public Records Office Victoria), C/T 4258-565 - see C/T 9161-739-746. [S185] Property Titles. ; PROV (Public Records Office Victoria), C/T 4258-565 - see C/T 9161-739-746 Marjorie Maxine Bedggood of 10 Albert Jones Court Eaglemont Married Woman. [S185] Property Titles. ; PROV (Public Records Office Victoria), C/T 3228-588. [S185] Property Titles. ; PROV (Public Records Office Victoria), C/T 3228-588 (PAK-70 & GEM-D-44). Joseph Webb Preece died 9 Dec 1912, probate of the will was granted to Louisa Preece of Toorak Road South Camberwell, widow - see C/T 3886-190 and C/T 3886-191. [S1] Registry of Births Deaths and Marriages Pioneer Index Victoria 1836-1888 "registered at Dunolly." [S185] Property Titles. ; PROV (Public Records Office Victoria), C/T 3886-191 - see C/T 4151-097 Walter Edwin Clifford Hoadley of Motherwell Street Hawksburn Managing Director. [S185] Property Titles. ; PROV (Public Records Office Victoria), C/T 3886-191 - see C/T 4167-362 Harriet Biggs of Burnley Street Richmond Married Woman. [S185] Property Titles. ; PROV (Public Records Office Victoria), C/T 3886-191 - see C/T 4272-233. [S185] Property Titles. ; PROV (Public Records Office Victoria), C/T 3886-191 - Margaret Ellen Gilpin of Upper Beaconsfield Married Woman - C/T 4387-232. [S185] Property Titles. ; PROV (Public Records Office Victoria), C/T 3886-191 - see C/T 5196-083 & 5196-084 George Clements of Upper Beaconsfield Farmer & William Clements of Upper Beaconsfield Farmer. [S11] Newspaper - Argus 16 Jul 1952, p12. [S12] Newspaper - South Bourke and Mornington Journal 22 May 1919, p3.